SUNNYSIDE, Queens (WABC) -- Police are looking for a woman in connection with a punching attack on the No. 7 subway. 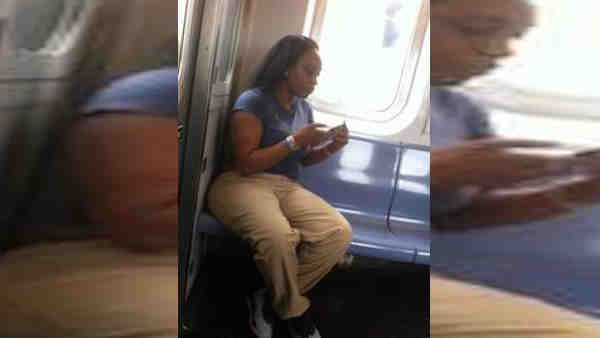 Around 3 p.m. Friday, a woman walked up to another woman on a Queens-bound 7 subway en route to the 46th Street Station. The woman punched the victim in the face, according to the New York City Police Department. The suspect had been arguing with a third person, and then accused the victim of staring at her. Police said the woman then grabbed the victim's cellphone as she attempted to call 911. When the train car doors opened at the 46th Street Station, the woman threw the cellphone onto the platform, shattering the screen. The victim, whose face was swollen, left the train to get her cell phone. The unknown woman fled at the 46th Street Station.